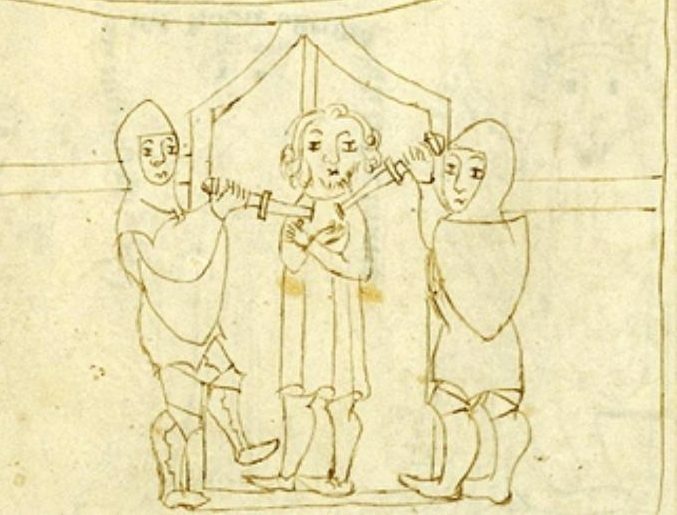 Abstract: In medieval England, the crown pardoned persons guilty of homicide if they were found to be mentally impaired at the time of the crime. Judges and juries carefully investigated and described the forensics of mental health defendants in the court record. Those suffering from temporary mental health issues, often a result of an illness, were examined under this same set of laws. Most often the guilty were remanded into the hands of family or those of a keeper, a type of temporary guardian, or they were sent to gaol (medieval incarceration in jail or prison) while they awaited their pardons. Some were kept in gaol until mentally stable enough to return to society. Those cases not dismissed because of an obvious mental health condition (as those of persons with childlike behaviour from birth might be) followed a pattern of having the defendant found guilty of the crime, and, because of a lack of intent, they were pardoned and not physically punished other than possibly spending time in incarceration. Introduction: Medieval England had no ‘insanity plea’, per se. In essence, if there was no intent to kill, the English crown left the person and property of the killer unharmed, other than the occasional prison sentence until an individual was healthy enough to rejoin society. This included homicide by accident, by children, by illness, and by those mentally impaired at the time of a crime. This paper examines mental health in cases of homicide, including how and why proving lack of intent diverted the guilty from the most serious punishments.